According to the Los Angeles Times, a recent study concludes that African-American women are five times more likely to contract HIV in six cities than are black women across the rest of America. Rates of infection come close to those of some African countries. The highest rates of new infections in the U.S. were previously found among black and gay males, and researchers are now surprised to add black women to that group. The researchers found that in Baltimore; Atlanta; Newark, N.J.; New York City; Raleigh-Durham, N.C.; and Washington, the annual rate of infection was 24 per 10,000 black women. Nationally, the U.S. Centers for Disease Control and Prevention reports that black women become infected at a rate of 5 per 10,000. The rate in Congo is 28 per 10,000. 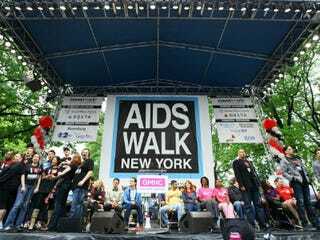 The fight against HIV and AIDS continues, especially in the black community.